← 250 "A Tale of Two Springfields"
"I will not surprise the incontinent"
"Insane Clown Poppy" is the third episode of season 12. "During an outdoor book fair, Krusty finds out he has a daughter (from a one-night stand with a female soldier who fought in the Gulf War), but loses her trust after gambling away her violin to Fat Tony, prompting Homer and Krusty to retrieve it." Homer and Bart fix things around the house using fireworks. They destroy Lisa's room on her birthday, so help make it up to her, the family goes to a book fair, where among other things Krusty is signing his new book. A little girl named Sophie is in line and she tells Krusty that she is his daughter. Krusty flashes back to his role in the Gulf War. Sophie's mother now hates Krusty. Krusty tries spending time with Sophie at the beach, but they don't bond very well. He sees Homer interacting with his kids and gets some parenting advice from his. Krusty gambles away Sophie's violin in a poker game with Fat Tony. She gets very upset with Krusty, so he (with Homer's help) try to steal back the violin. There is a big Mafia summit at Fat Tony's place and Krusty manages to escape with the violin and a bunch of cash. He wins back Sophie's love, but the mob goes after Homer for his role in the caper and shoots at him. Somehow Homer escapes. The episode was written by John Frink and Don Payne and directed by Bob Anderson. Drew Barrymore, Stephen King, Jay Mohr, Amy Tan and John Updike guest star. Joe Mantegna reprised his role as Fat Tony. 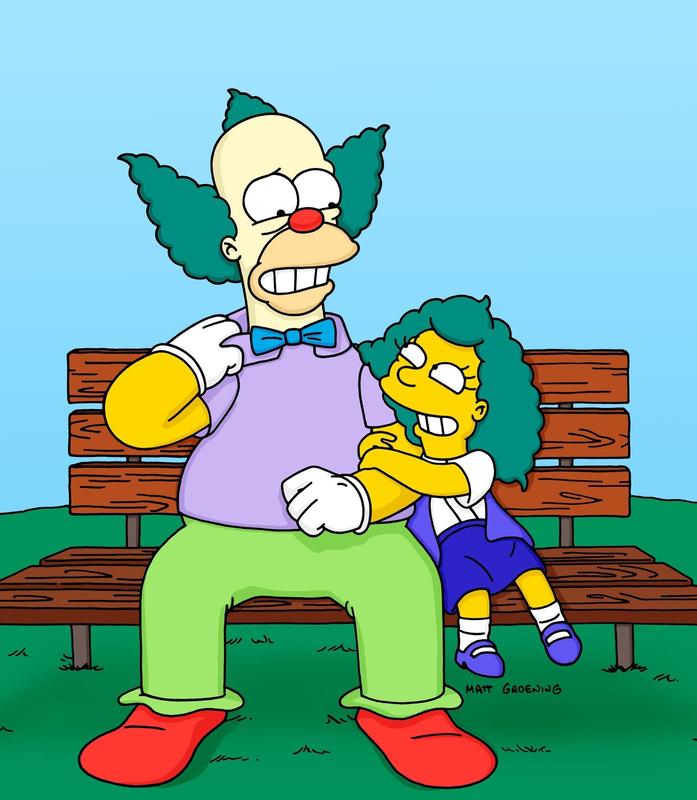 Originally, Homer was the one who was surprised to have a long-lost daughter, but this was changed to Krusty, to try and keep the episode canon and not to far from reality. There are two deleted scenes from this episode, which can be seen on the The Complete Twelfth Season DVD. Bart and the author of the "For Dummies" books where Bart tricks the author into thinking he is a bank and gives the man potato chips as money. After a day of father-daughter bonding, Krusty and Sophie have a short dialogue outside her apartment before her mother appears at the door. The episode received negative reviews from critics. DVD Movie Guide gave the episode a negative review saying "After two pretty good shows, season 12 encounters mediocrity with “Poppy”. At no point does the program become poor, but it just lacks many real laughs. Outside of some amusing book fair cameos, this one fails to deliver much zing, and it tends to drag" One of the many complaints of the episodes was that the plot and comedy relied too much on the guest stars to take the episode, instead of having an actual plot. Modified on October 2, 2015, at 06:34.